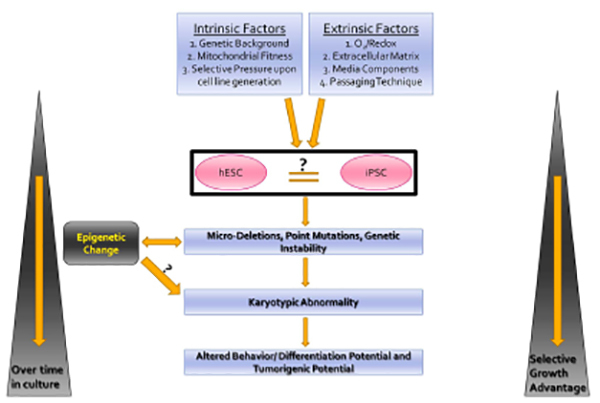 Induced Pluripotent Stem Cells, A Slippery Slope for Neurodegenerative Disease Modelling? 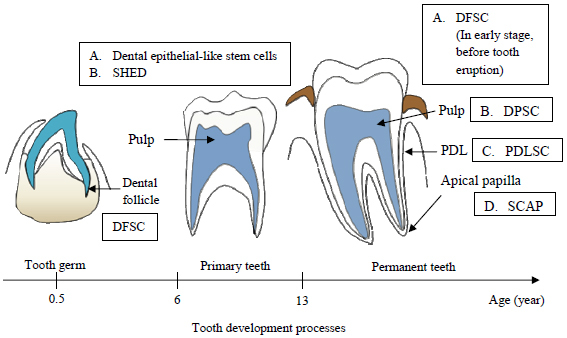 Dental pulp stem cells (DPSCs) from permanent teeth and stem cells from human exfoliated deciduous teeth (SHED) have attracted tremendous interest recently by playing a major role in tissue engineering and regenerative medicine. However, since stem cell technology is still in its infancy, interdisciplinary cooperation between medicine, basic biological research, nanotechnology and materials science is needed to achieve successful clinical applications. Stem cells in general and pluripotent stem cells in particular have gained tremendous interest in the recent years, primarily driven by the hope of finding cures for several debilitating human diseases through cell transplantation (regenerating medicine). 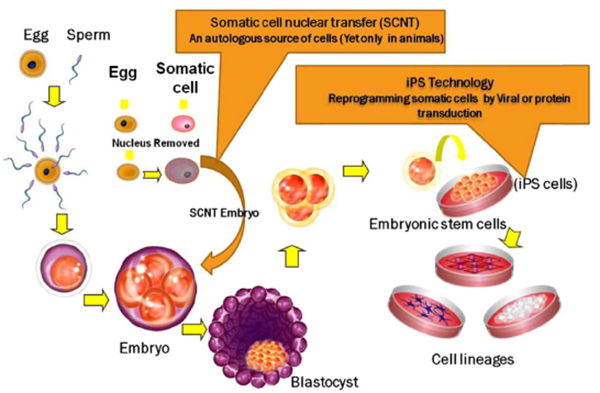 The preservation of the genetic and epigenetic integrity of human embryonic stem cells (hESCs) and induced pluripotent stem cells (iPSCs) during propagation is critical for their use in both research and future therapeutic applications. 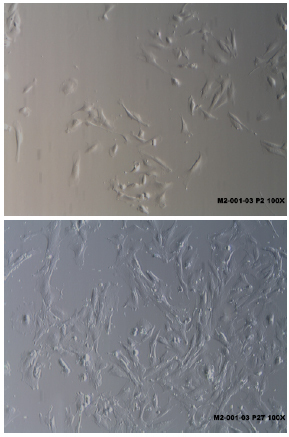 Adult mesenchymal stem cells (MSCs) obtainable from autologous bone marrow aspirates have generated tremendous interest in the medical and scientific communities in the last two decades and are currently being investigated by a of interested physicians for use in point-of-care stem cell therapies due to their great potential to differentiate into multiple cell lineages such as bone, cartilage, muscle, tendon, and nerve. Reports have shown that murine embryonic stem cells (mESC) can differentiate into primordial germ cells (PGC) and then to early gametes (oocytes and sperm) that after fertilization form blastocysts. 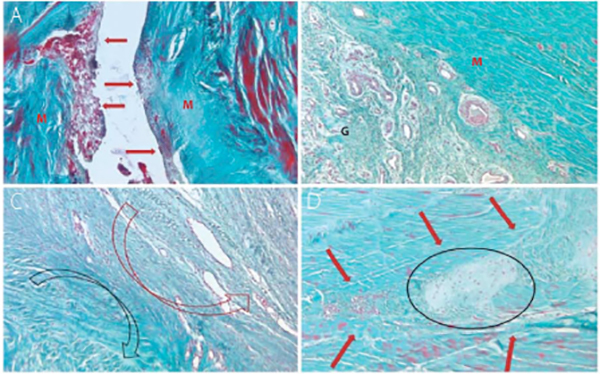 Preliminary studies indicated that hESC also have the potential to differentiate into germ cells. 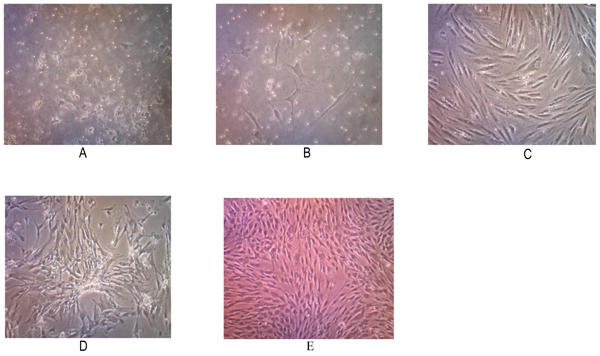 Currently, there are no reports on directed differentiation of hESCs into oocytes. 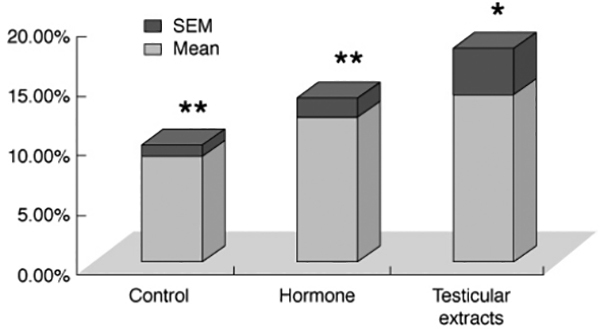 Here, we investigated the effects of human fetal testicular extracts (HFTE) and hormones i.e. follicle-stimulating hormone (FSH), human chorionic gonadotropin (hCG) to coax hESC to differentiate into oocytes. 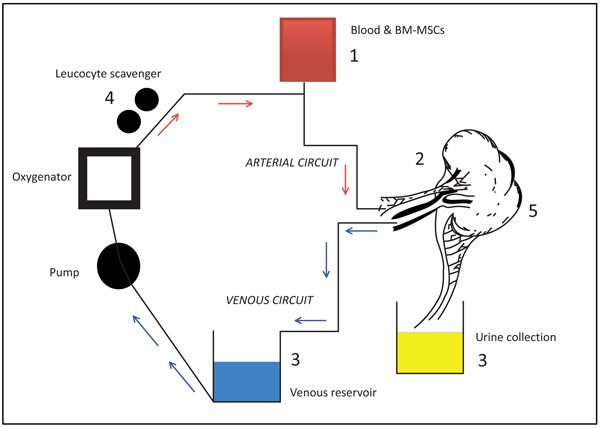 The embryoid bodies (EBs) derived from hESC formed ovarian-like structures (OLS) after treatment with HFTE for 7 days and with hormones (FSH + hCG) for 20-30 days. 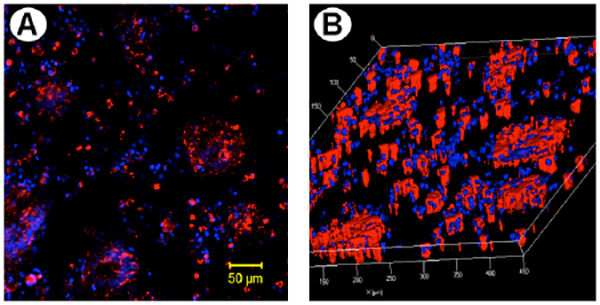 OLS exhibited typical oocyte-like spherical shape of variable sizes and some with zona pellucida-like covering RT-PCR, immunological fluorescence staining and flow cytometry analyses showed that these structures are positive for specific germ cell and oocyte markers such as OCT4, SCP3, C-KIT and DDX4, STELLA, FIGLA, GDF9, NANOG􀉼FSHR, ZP1, ZP2 and ZP3. Quantitative RT-PCR analysis showed that FSHR, GDF9 and FIGLA were up-regulated during OLS differentiation from EB in a time-dependent manner. 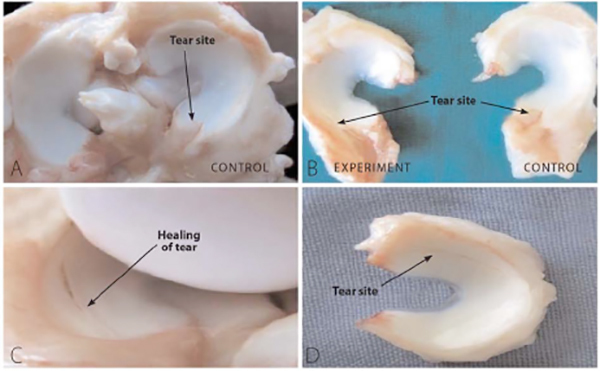 These results demonstrated that hESC have the ability to differentiate into ovarian structures. 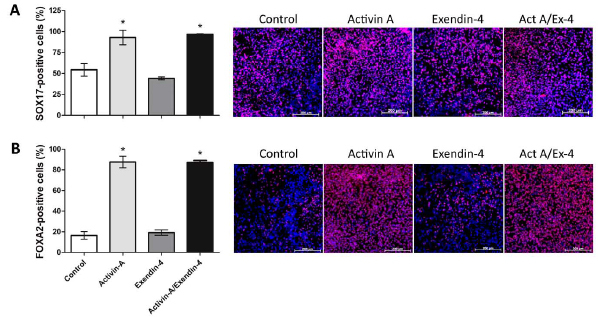 This study thus provides an model to study germ-cell formation from hESC and these germ cells may generate a potential source of oocytes for therapeutic cloning. 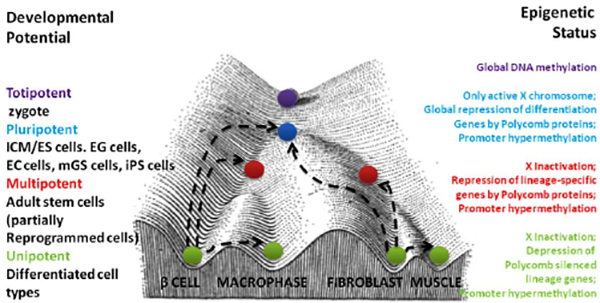 iPS and ES Cells: Do Both Roads Lead to Rome?